They say Texas is like a whole other country. Visitors from across the globe come here in their not-yet-broken-in cowboy boots, straw hats, and Texas flag shirts looking to explore a land that is steeped in a spirit of independence. It’s an unbridled breed, the people that call this state home. What better place to begin your Texas adventure than the site of the Battle of San Jacinto, where Texas gained its independence from Mexico in 1836. Head just outside of Houston to the city of La Porte and you’ll find the San Jacinto Monument, the San Jacinto Museum of History, the San Jacinto Battleground State Historic Site, Battleship TEXAS, the Albert and Ethel Herzstein Library, and the Marsh Restoration and Boardwalk. Whether you have only an hour or an entire day, there is plenty here to keep you entertained. At nearly 570 feet tall, the San Jacinto Monument is the world’s tallest war memorial. The monument honors the contributions and sacrifices of those who fought for Texas’ independence. Time stands still as you stand beneath the 220-ton Lone Star of Texas on the observation deck and peer out across the horizon. This Texas giant - built from 1936 to 1939 - is one of the finest examples of art deco architecture around, and it’s recognized as a National Historic Civil Engineering Landmark by the American Society of Civil Engineers. Walk the battleground and relive the famous Battle of San Jacinto. Stand in the exact locations of the Texan and Mexican camps, as well as the site of the advance by General Sam Houston’s men. Visiting the San Jacinto Museum of History, located in the base of the San Jacinto Monument, is one of the top things to do when you visit the Houston area. 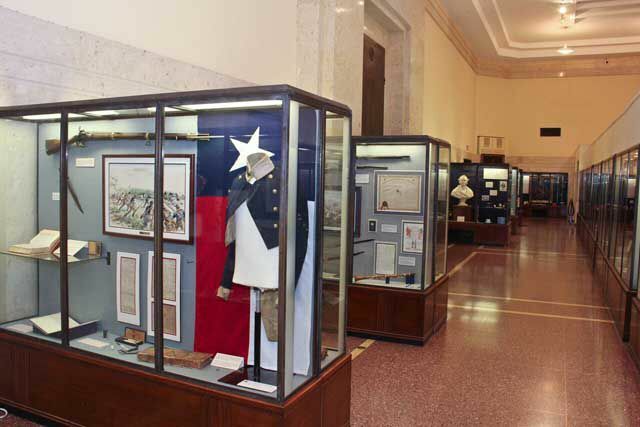 As you enter the monument you walk into the permanent exhibit hall where period artifacts, documents, prints, and photographs come together to share the story of Texas. Let your imagination come to life as you see the firearms used in key battles that shaped the history of the Southwest and view items used by the pioneers of Texas’ Independence. The permanent exhibit also features Spanish silver, pre-Columbian pottery, maps that guided the explorers in the region, religious artwork and artifacts, tools used to work the land and herd the cattle, and many other items from the past 500 years. Don’t miss the Honor Ring, the gift his mother gave him that inspired Sam Houston to greatness. The San Jacinto Museum also hosts several rotating exhibits, giving you a reason to return again and again. The Jesse H. Jones Theatre shows the movie “Texas Forever!! The Battle of San Jacinto” every hour on the hour beginning at 10 a.m. every day. The 35-minute production transports you from the earliest Spanish colonies to the day the West was won. 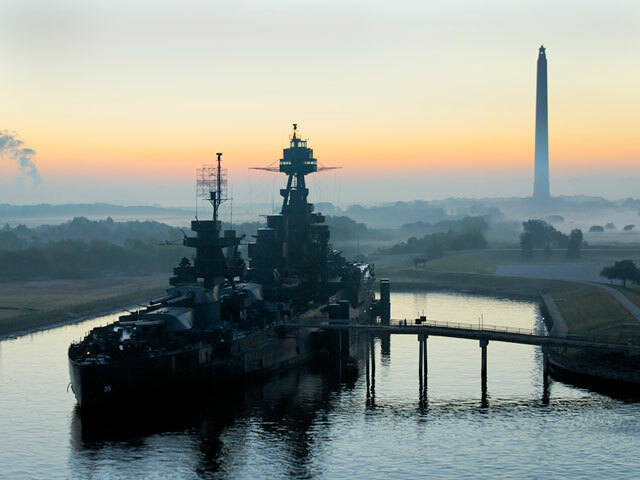 Imagine life as a marine sailor during World War I and World War II as you tour Battleship Texas. Climb 60 feet above the water to the flying bridge or down 20 feet below the water into the engine room. View the restored sleeping quarters, medical facilities, engine room, guns, and anchors. One can only assume these were trying times, served only by the brave. Guided tours of parts of the ship normally closed to the public are available. 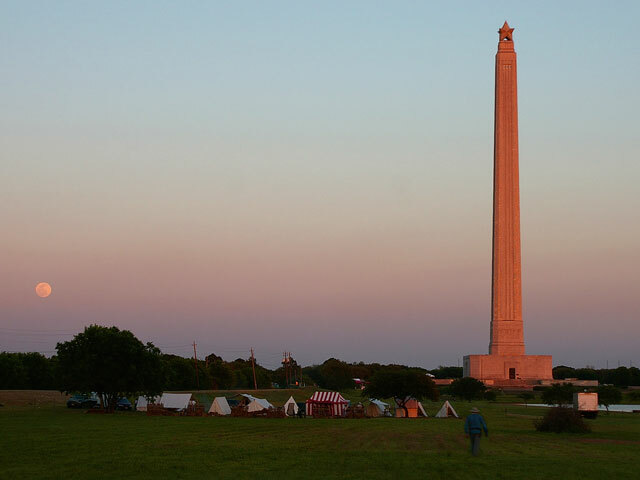 The largest battle reenactment in the southwest is the centerpiece of the annual admission-free San Jacinto Day Festival, held on Saturday, April 13, 2019, from 10 a.m. to 6 p.m. on the grounds surrounding the San Jacinto Monument at One Monument Circle, La Porte, TX. Enjoy a full day of entertainment from three stages, rides, vendors, food, family activities, animals, cultural exhibitors, children’s games, and fun. The festival pays tribute to the decisive Battle of San Jacinto on April 21, 1836, when Texas won its independence from Mexico. Festival, park grounds, reenactments, parking, entrance to San Jacinto Monument and shuttles are free; there are modest admission fees for the elevator ride, movie, and special exhibit inside the Monument. Come early and follow directions from TPWD and other parking staff. For more information, a full entertainment schedule and parking instructions, visit www.sanjacinto-museum.org, Facebook.com/sjbattlereenactment, or call (281) 479-2421. Don’t miss the Albert and Ethel Herzstein Library, open by appointment on Fridays and some Saturdays. It’s a treasure trove of rare books, maps, and manuscripts that you could bury your nose in all day. 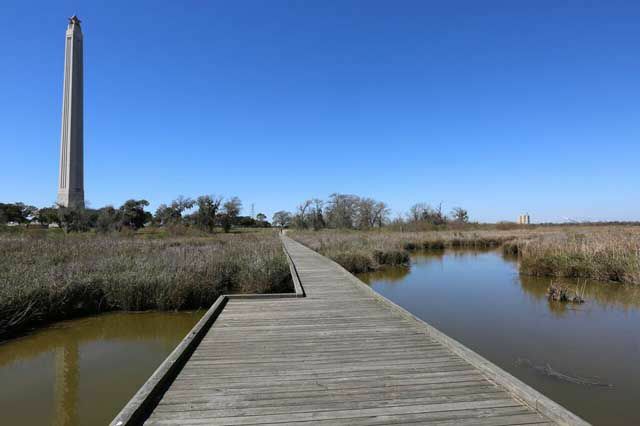 Then take a walk on the 1,210-foot long marsh trail and boardwalk where you just may spy coastal birds like the roseate spoonbill, wood stork, mottled duck, osprey, white pelican, and other wetland denizens such as the river otter.